Seabourn’s ultra-luxury ships hold between 450 and 600 guests apiece. Photo courtesy of Seabourn. For more than a quarter century, the Seabourn Cruises name has been synonymous with luxury cruising. Founded in 1987 by legendary cruise mogul Warren Titus (who’d also founded Royal Viking Line 15 years earlier) and Norwegian businessman Atle Brynestad (currently owner and chairman of SeaDream Yacht Club), the line early on established a distinct cruising style: quiet, refined, and genteel, with nearly clairvoyant service, exceptional food and wine, and itineraries that concentrate on intimate ports where the big ships don’t go. Now part of the Carnival Corporation of brands, Seabourn has been on the receiving end of a major investment over the past decade. The line’s fleet of modern, ultra-luxury ships include the 450-guest trio Seabourn Odyssey, Seabourn Quest and Seabourn Sojourn, all of which were launched between 2009 and 2011. 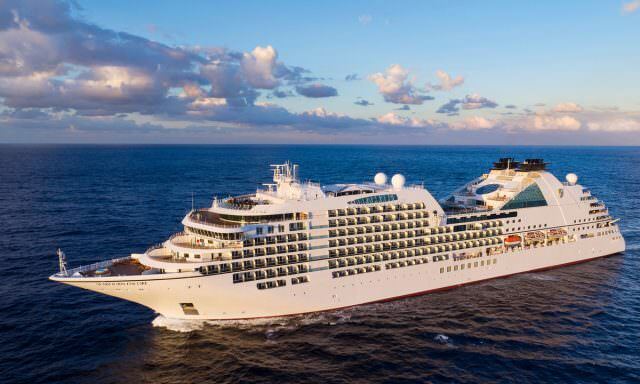 Two larger ships capable of carrying 600 guests apiece – Seabourn Encore and Seabourn Ovation – debuted in 2016 and 2018, respectively. Both are the largest vessels to be built for Seabourn Cruises. Seabourn’s pre-2009 ships have all left the fleet, having been sold off to Windstar Cruises. As a true luxury line, Seabourn includes a host of amenities onboard, from complimentary gratuities to free alcoholic and non-alcoholic beverages that feature all but the most premium spirits and vintages. Welcome champagne is standard, and all specialty dining venues can be enjoyed free-of-charge. These are not cruises for people who like their vacations dramatic, ostentatious, or fast-paced. 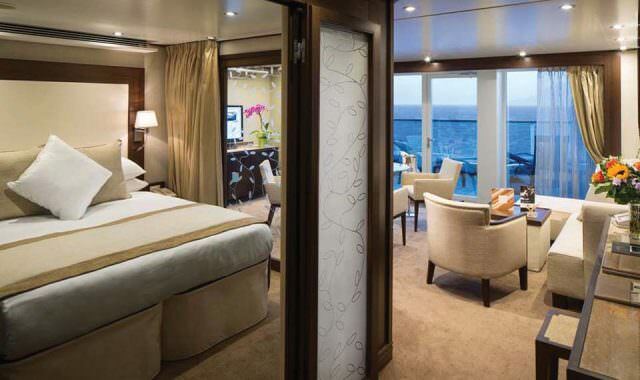 Aboard Seabourn, relaxation rules and distractions are few. Seabourn guests tend to be mature, well-off individuals who prefer to take their vacations at their own pace and just want nice surroundings and a capable staff that can anticipate their needs, though the line’s new Ventures by Seabourn product offerings add a touch of soft expedition experiences to sailings in select destinations. For adults, activities tend toward the low-key, such as wine tastings, exercise classes, spa seminars, or talks – known as Seabourn Conversations – by noted authors, historians, diplomats, chefs, wine connoisseurs, film directors, and the like. Entertainment is similarly low-key, focused around music, dancing, casino gambling, and a variety of acts in the main lounge: comedians, musicians, puppeteers, etc. It’s very much a laid-back, make-your-own-kind-of-fun cruise, and that’s just how Seabourn’s guests like it. Seabourn ships feature marinas that are lowered into the water for waterspouts activities. 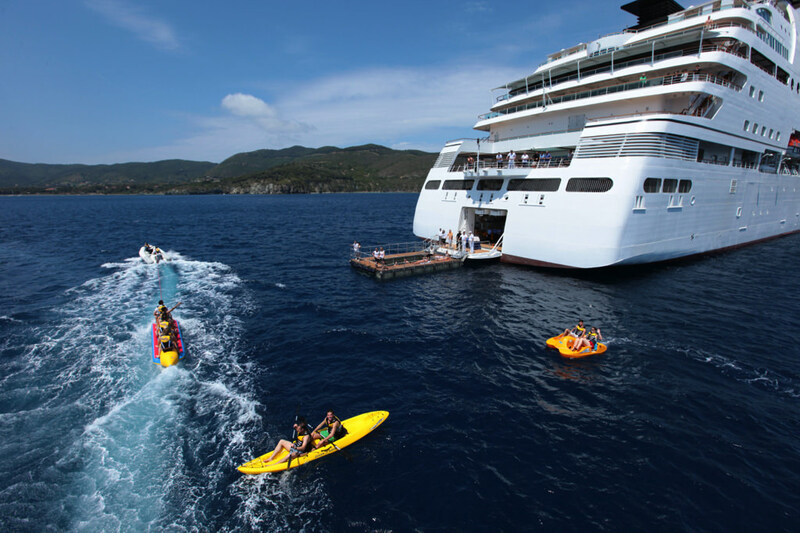 For more active activity, each ship has a water sports marina that can be lowered from the stern, allowing guests easy sea access for kayaking, water-skiing, windsurfing, and swimming. Weather and sea conditions permitting, it’s used at anchor on designated “Marina Days,” and on days when the line puts on one of its signature “Champagne and Caviar in the Surf” beach barbecues, which include a red carpet in the sand to greet guests as they’re dropped off by landing boat, a huge gourmet spread, a full bar, and uniformed waiters who wade around in the surf, serving iced champagne and caviar from a customized life-ring. Recently, Seabourn began offering Ventures by Seabourn aboard itineraries in Alaska & British Columbia; Antarctica & Patagonia; Northern Europe; Transatlantic; Australia & South Pacific and the Amazon . These itineraries feature a team of onboard Ventures expedition specialists who host lectures, guide shore excursions, and are visible throughout the ship to help guests interpret their chosen destinations. These Ventures by Seabourn sailings offer expedition-style shore excursion experiences that are guided by the ship’s onboard expedition team. These adventures ashore can include hikes of varying difficulty levels, zodiac adventures, and guided kayaking explorations. These excursions come at an additional cost but are well-worth it to experience something unique that few others will have the chance to. 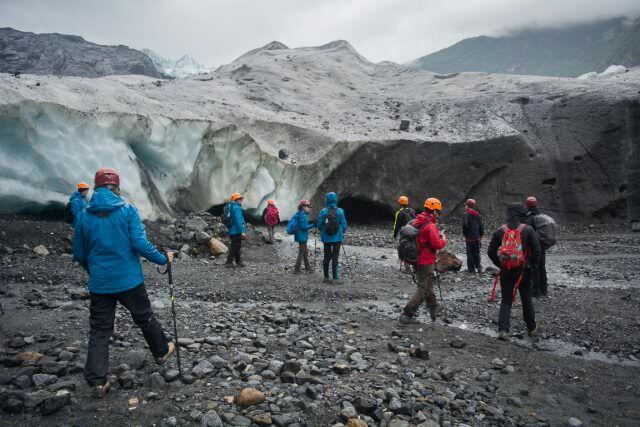 In all destinations except Antarctica, a full roster of more standard shore excursions are still offered alongside these Ventures by Seabourn outings. Families with kids are extremely rare aboard Seabourn, and there are no dedicated activities or facilities for children. Onboard dining is a similarly exceptional experience. 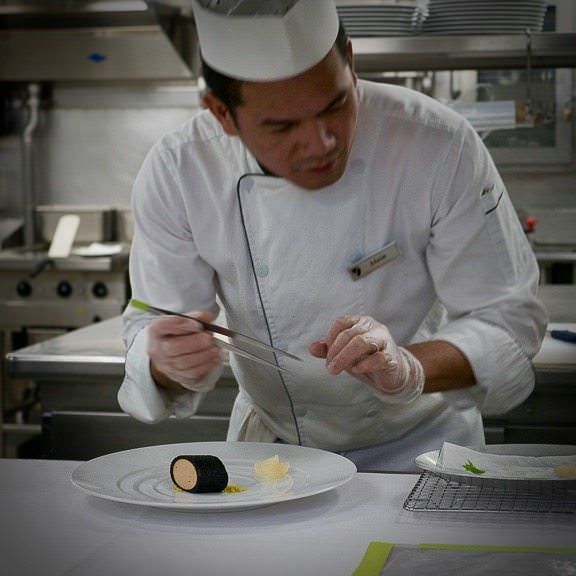 Aboard all Seabourn ships, the main restaurant, called simply The Restaurant, serves dinners in single open seatings, with guests able to arrive anytime they like during dinner hours and find seating for their party. Dinner service is attentive and high-style while remaining unobtrusive — the perfect blend. In keeping with Seabourn’s all-inclusive policy, wines – along with almost all other beverages on board – are provided complimentary. All vessels also feature The Colonnade, a super-stylish space situated at the rear of the vessels and characterized as serving “Elegant Bistro” fare, with both indoor and al fresco dining for breakfast, lunch and dinner. The Patio Grill, situated on the pool deck, also features outdoor dining during both lunch and dinner. Try the Thomas Keller Burger; it’s delectable. Seabourn Encore, along with her sister Seabourn Ovation, both feature a dedicated sushi bar known simply as Sushi. Open for lunch and dinner, this stylish venue located on Deck 7 is noteworthy for having Hamachi, tuna, shrimp and other fresh fish products shipped from Japan direct to the ship. Seabourn states it currently has no plans to add Sushi to its three Odyssey-class ships (Odyssey, Quest and Sojourn). Jeans Summary: Welcome in all venues during the day. Casual jeans are not welcome in The Restaurant after 6 p.m., and not in any venue (including deck grills) on Formal Optional nights. Resort Casual: For gentlemen, no jacket required. A shirt or sweater with slacks is appropriate. For ladies, a blouse with skirt or slacks. Elegantly Casual: Slacks and jacket over sweater or collared sweater for men. Blouse with skirt or slacks, dressy pantsuit, dress or similar for ladies. Formal Optional: Guests who wish to dress more formally are invited to wear tuxedo or dark suit for gentlemen; evening gown or cocktail dress for ladies. Elegantly Casual attire is also appropriate for all venues. For detailed information on staterooms and suites, see the individual ship reviews below or continue reading Ralph Grizzle’s A Luxury Cruise On Seabourn Odyssey: Suite 622. What Will Seabourn Do Differently In Alaska? An Avid Exerciser & A Foodie Ask About Seabourn Sojourn . . .
Seabourn Odyssey, Panama Canal: On The Best Ship Ever?